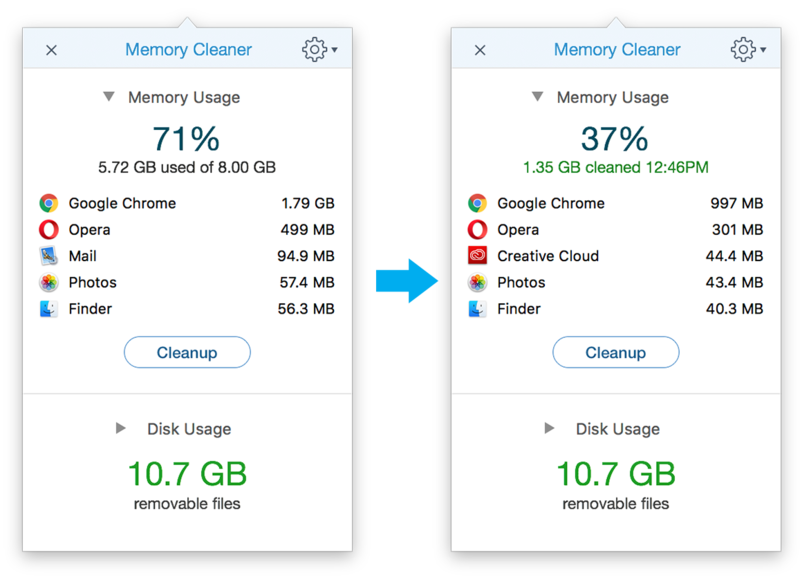 Memory Cleaner allows you to clean up your RAM memory, which in reality is free, however, the system shows it as occupied by apps. Just check the indicator periodically. If the amount of used memory reaches its peak point, click “Cleanup”. After the cleaning process you will see the amount of cleared memory in the window and the time of the last cleanup. If you have freed enough memory, then go on with your work. Sometimes all of your RAM may be used for active processes and it is impossible to clear enough memory. In that case, close unused applications and then click Cleanup once more. By performing these two simple steps, your Mac will always have operate at a high speed.